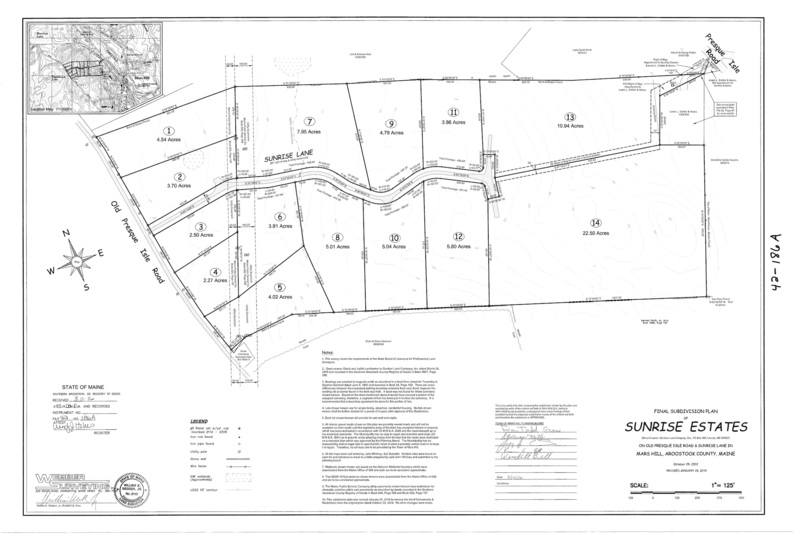 Sunrise Estates consists of 14 properties tucked in the quaint little town of Mars Hill, ME in Aroostook County. Beautiful scenery with green foliage surrounding you in every direction. This is the perfect opportunity to build a permanent home or that vacation getaway spot you have always dreamed about. Get your hands on one of these quick as it is a great chance to own a piece of the amazing state of Maine! The unspoiled land, clean air, and mild climate make Sunrise Estates a true landowner’s dream. And our no-hassle, guaranteed financing make this the perfect opportunity for you to own a small slice of the beautiful state of Maine. Own Sunrise Estates For $99 Down! This property is located in the town of Mars Hill, Maine. The average elevation is approximately 607 feet. Surround yourself with green trees and foliage everywhere. All are the perfect setting for the unspoiled countryside of Aroostook County. With every breath of fresh, clean air, you'll know this pristine unspoiled property is for you - especially since it has been thoughtfully master-planned to exist in harmony with nature and wildlife. This scenic property is in Mars Hill, ME just 13 miles south of Presque Isle and 7 miles north of Bridgewater. You are entitled to drill a domestic well on your property at your own cost. Water is not guaranteed to be available at any specific depths, quantity, or quality. Contact a Licensed Maine Well driller for further information and proposed costs. Currently, there is electric service readily available. Waste water disposal for is achieved by individual septic systems, soil approved for septic. Please contact each individual service provider for current requirements, permits and costs involved for extension. Mars Hill Utility Dristrict 207-425-2620. The zoning allows Residential/Recreational. Currently, the approximate annual property taxes calculate to approximately $19 per year, per acre and are current. There is no property owners association however we do have Sunrise Estates Covenants.